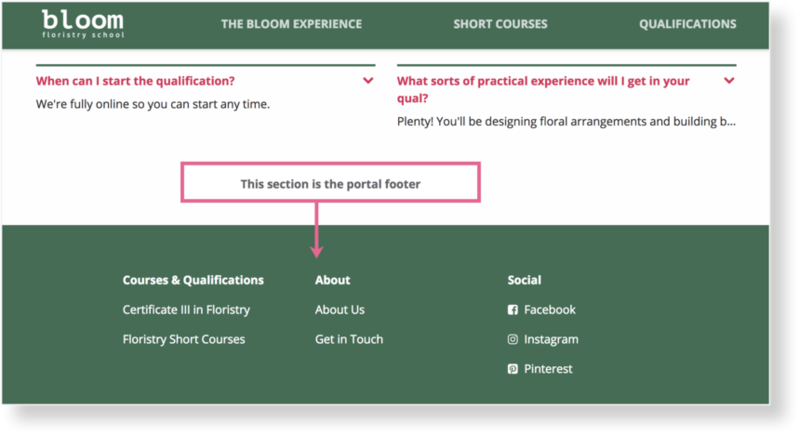 You can set up the portal footer to have links to relevant pages for your organisation. Type in your link title and link URLs using the markdown format shown underneath each list. (URL) - regular brackets; with no space in between. To add social media links with icons, please note that icons are pulled from a platform called Font Awesome. You cannot upload your own. Check your footer lists are linking correctly by going to the front-end view of your portal.